Welcome to the game's first points cost update! We will be publishing these updates biannually, in January and July, each time attempting to restore equilibrium to the game's ever-changing collection of ships, pilots, and upgrades. Because the game is so new, this first one is a doozy. There are too many tweaks to touch on each of them fully, so we’ll just say a few words about the biggest and most impactful ones. 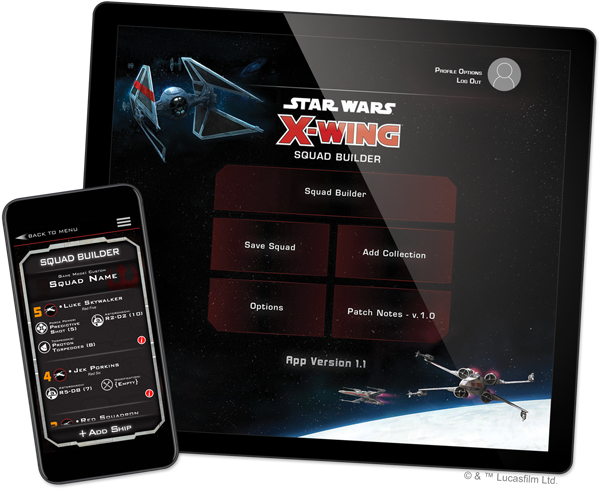 For a complete list of changes, please consult the X-Wing Squad Builder app or the online points cost PDFs located in the support section at the bottom of the game's website. Large ships certainly had their time in the sun in the first edition of X-Wing, clocking big wins in countless tournaments and even dominating competitive play for large periods of time. In seeking a better balance between small, large, and the new medium class of ships, we erred on the side of caution with large ships. Additionally, many of the most powerful tools in a large ship’s arsenal were modified or removed in second edition. 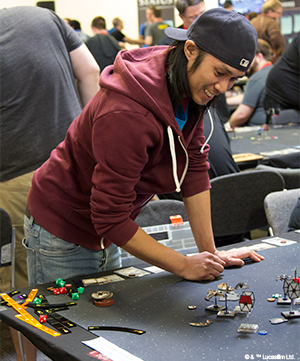 Consequentially, many large ships have been absent from the upper levels of tournament play. This update attempts to address that by significantly reducing the points costs of large ships and a number of upgrade cards that benefit these ships. 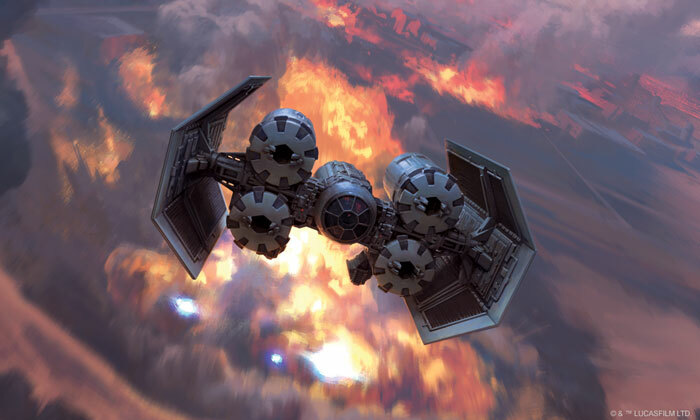 The Rebel Alliance: The development team has already met one of its major goals for second edition: making the X-wing a force to be reckoned with. In fact, the X-wing has been so popular that many other Rebel ships have been left out of the tournament scene. To promote greater diversity among Rebel squadrons, Y-wings, B-wings, A-wings, and K-wings have all been reduced in price, and each and every A-wing has gained a talent slot. 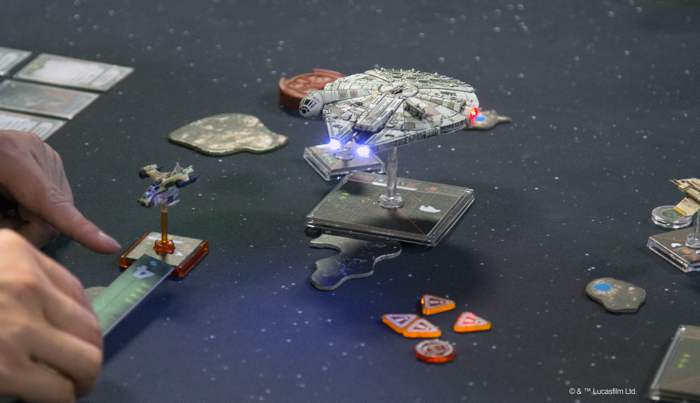 The biggest point decrease, however, was awarded to the E-wing, which has dropped in points substantially, allowing players to field these advanced starfighters much more effectively. On the other side of the coin, a few slightly over-performing ships, such as the HWK-290 and the Sheathipede-class shuttle have been increased slightly in cost. The Galactic Empire: The Empire came out swinging at the dawn of second edition, with a wide array of powerful ships and pilots to choose from. Intriguingly, some of the worst-performing ships from first edition turned out to be powerhouses now, while other ships were sidelined. TIE/sa Bombers and TIE/ca Punishers have now been reined in after a truly explosive debut. Meanwhile, the TIE Advanced x1, TIE Advanced v1, Alpha-class Star Wing, and VT-49 Decimator have been discounted. Finally, the TIE Phantom has had its crew icon swapped for a gunner icon to break up certain very strong ship/crew combinations (here’s looking at you, "Whisper" and Darth Vader). Scum and Villainy: With more large ships than any other faction, the galaxy’s wretched hives of pilots-for-profit should find a number of exciting new opportunities, thanks to the general large ship points cost reduction. Most notably, the JumpMaster 5000 has taken a reduction in cost that should see a concomitant uptick in its popularity. Conversely, bargain-hunting villains may feel a pang when they realize their trusty HWK-290s, QuadJumpers, and Escape Craft got a bit more pricy. Lastly, a certain very successful bounty hunter has upped his rates due to overwhelming demand. The Resistance and First Order: These factions made their second edition debut quite recently, but some of the upgrade cost changes have had an impact on their viability. As such, the TIE/vn Silencer has gotten cheaper, as has the Resistance Bomber. And Blue Squadron Recruit spent a little more time in the flight simulator and earned a Talent upgrade icon—while the TIE/fo Fighter pilot “Null” lost access to this slot. There are far too many upgrade card points cost changes to call them each out individually, so we’ll stick to identifying major trends. First and foremost, we overhauled upgrade cards which increase in value based on initiative, like Squad Leader and Supernatural Reflexes. These upgrades will now scale up in cost according to initiative. Secondly, crew cards—particularly Force users—have gotten more affordable and accessible, to further bolster large ships. Additionally, turrets got cheaper, certain ordnance got more expensive, and the costs for a number of talents were adjusted. Hopefully, we’ve taken a few more steps toward a finely balanced game. We’ll return in July with another points adjustment. In the meantime, happy flying!